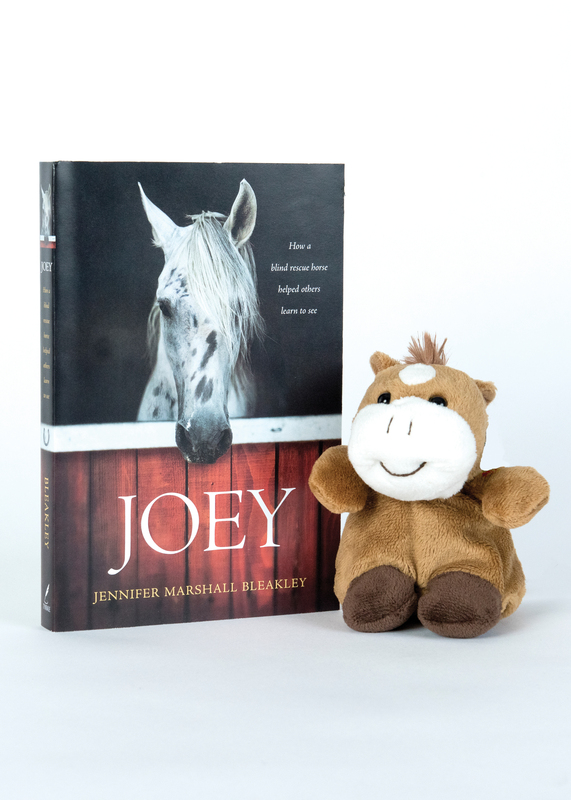 Adorable stuffed horse toy FREE with book purchase! The heartwarming true story of a blind horse named Joey. When an injury cost Joey his show career, he moved from one owner to the next, ultimately experiencing severe abuse and neglect. A rescue group found Joey nearly dead from starvationand blind. Then he came to Hope Reinsa ranch dedicated to helping hurting kids who had been abused, emotionally wounded, or unwanted. By teaching these children to care for rescued animals, the Hope Reins staff were convinced they could reach kids with love and hope and show them that we are never forgotten by God. But could the financially struggling ranch afford to take care of a blind horse that no one else wanted? Could Joey somehow learn to trust people even though the world had hurt him so badly? And what would happento Joey, the kids, and Hope Reinsif they failed? A true story of friendship destined to become a classic, Joey will touch your heart and reveal the power of finding light in the darkness.